Our community-based care facility is centered on you. Leading-edge therapies, innovative treatments, and exceptional care are now in your own neighborhood. 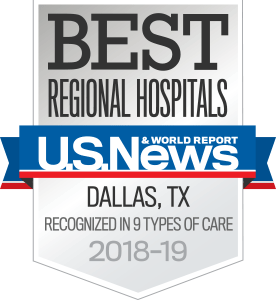 We’ve brought world-class care to you, delivered with the expertise and compassion that make UT Southwestern one of the top medical centers in the nation. General X-rays are available on the first floor, in Suite 185. For an appointment, please call 214-645-XRAY (9729). Onsite general lab services use the latest technology and techniques and provide fast and accurate results.